New World, a lightly pressed Nicaraguan puro, was introduced several years ago by A.J. Fernandez as a budget line to complement his more expensive blends that had gained numerous fans. 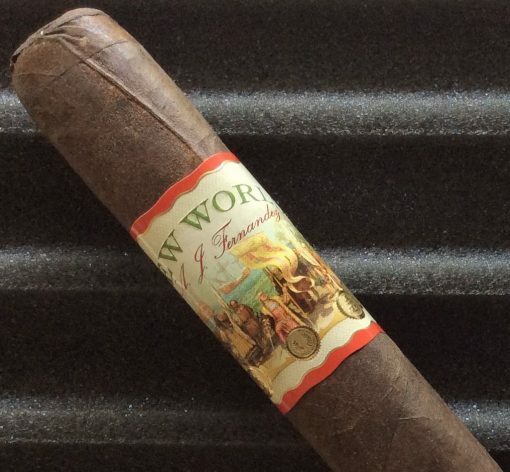 The New World Navegante (5.5 x 55) is a fairly rough-looking cigar and that appearance carried over to the initial smoking experience. Although it did smooth out a little about halfway down, it remained a bit harsh throughout. Smoke production was also fairly limited. Even at only about $6, I think you can navigate your way to a better cigar.